Hi Everyone! 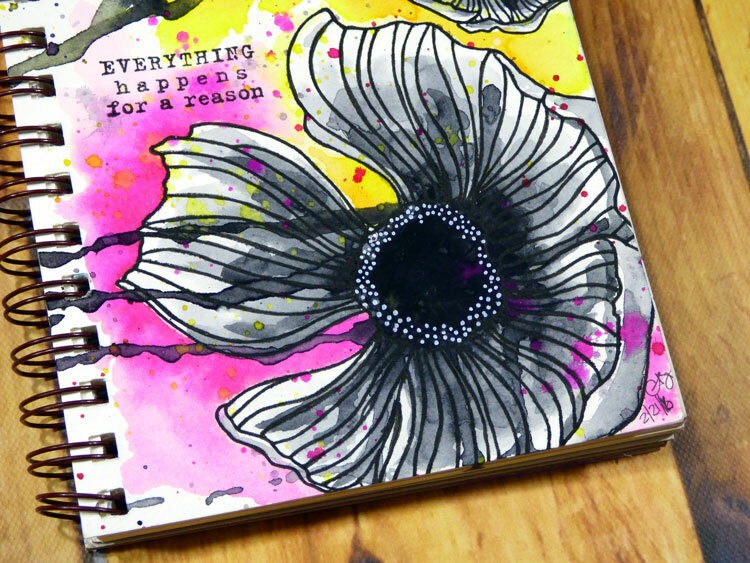 I'm so excited to be over at Blitsy today sharing a fun page from my watercolor art journal using Dr. Ph. Martin's Radiant Concentrated Watercolors. I'm in love with the black and white flowers with the pops of bright hues! Hop on over to the Blitsy Blog today to find out more along with a full supply list and my process video!